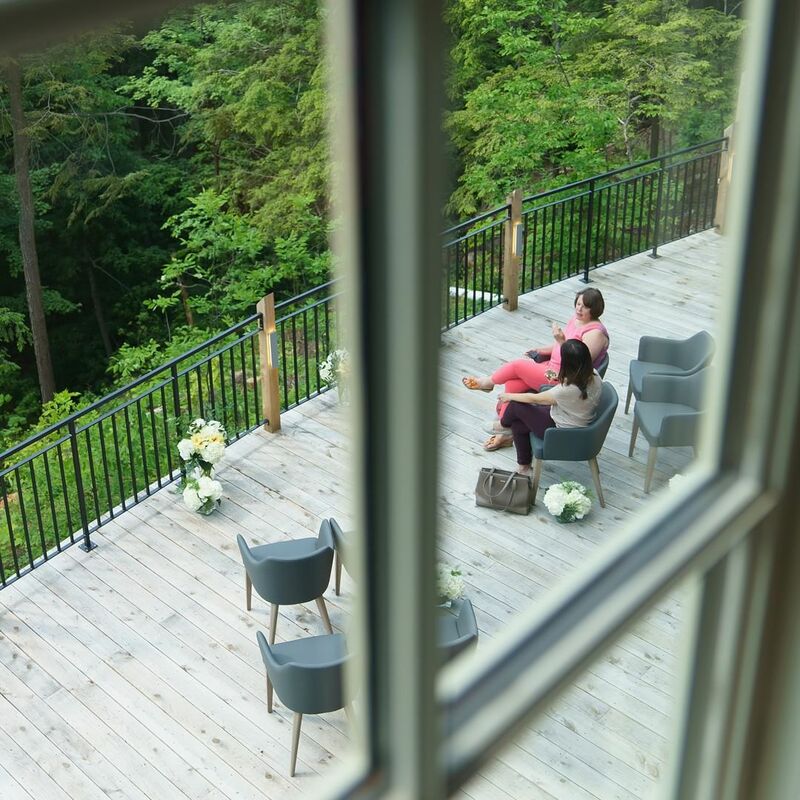 One of the busiest travel seasons for romance in Canada is the fall and we’ve got our top picks for where you should escape to this year for a bit of love. 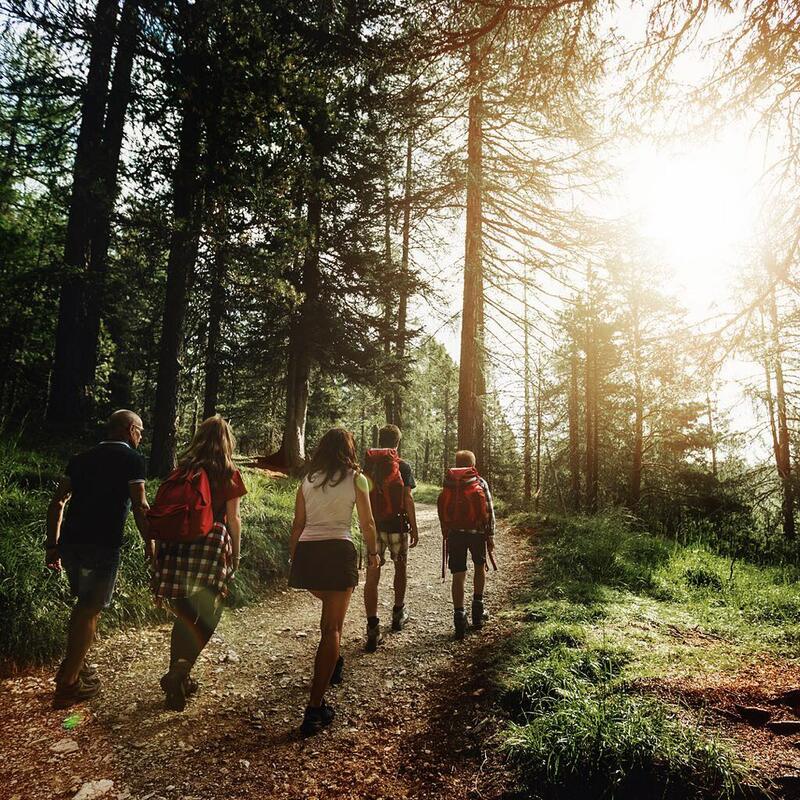 Taking you off the beaten path and to places that are a bit more remote which puts you right smack dab in the middle of nature. 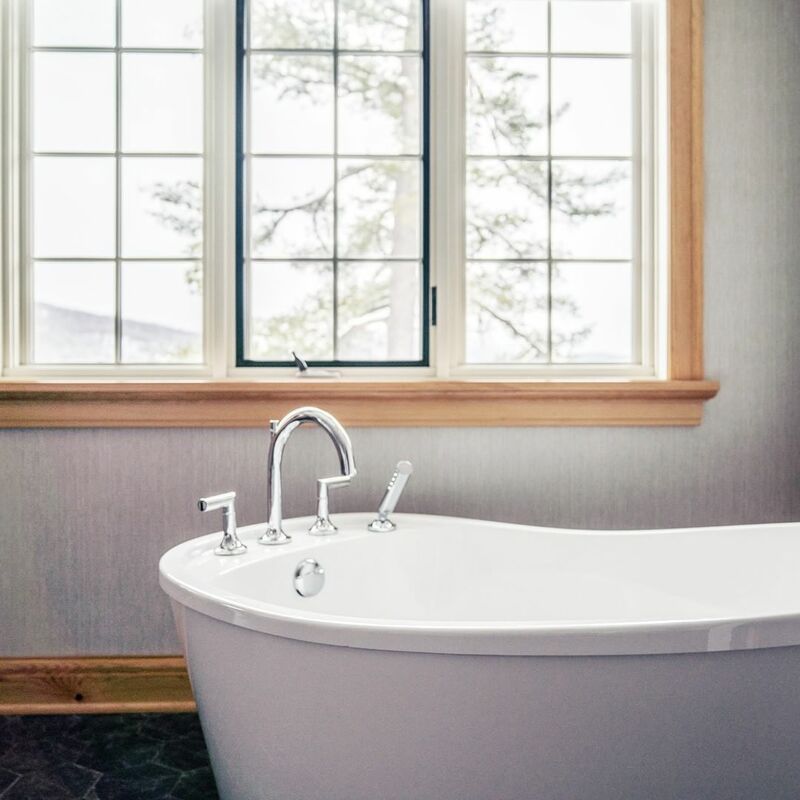 Whether you want to go hiking in the colourful rainforests or soak in the views from a warm bath for two, we’ve got you covered in this list. 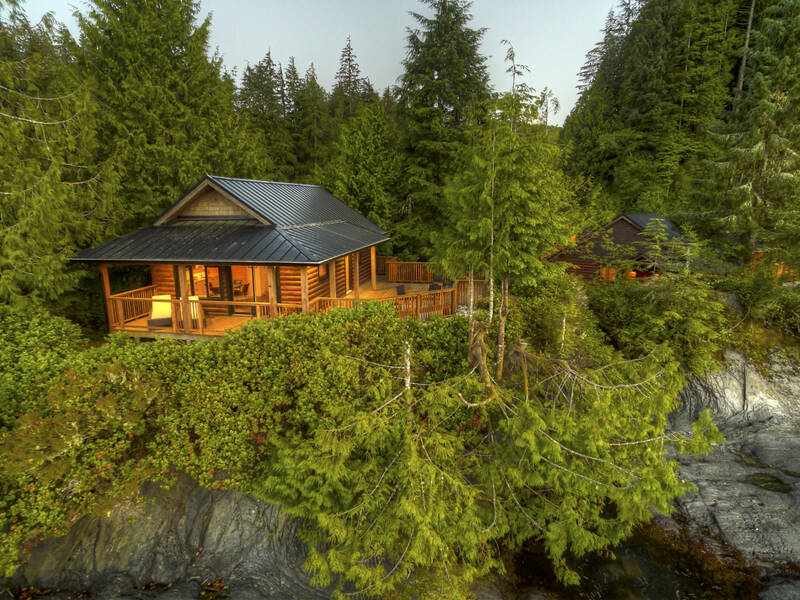 These hotels and glamping experiences are perfect for a fall romantic getaway due to their location, as well we’ve hand picked our favourite suites that will help set the mood while staying in style. 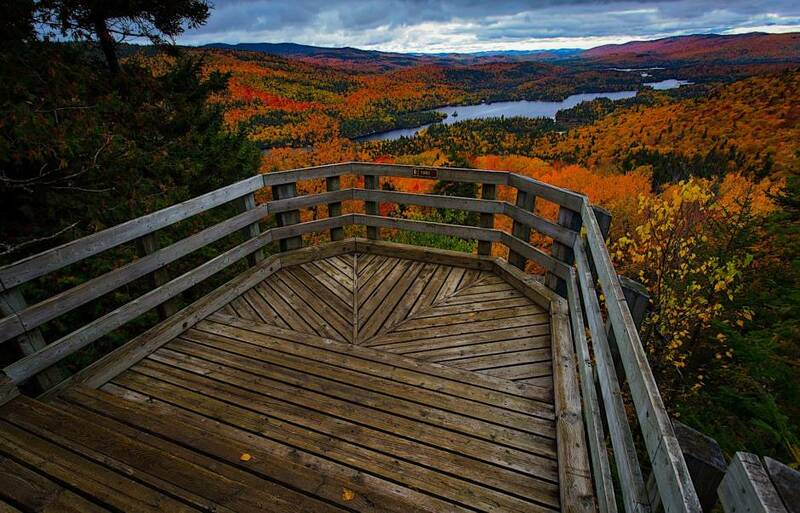 It’s time to grab your lover’s hand and get out of the city on a journey somewhere special this fall. 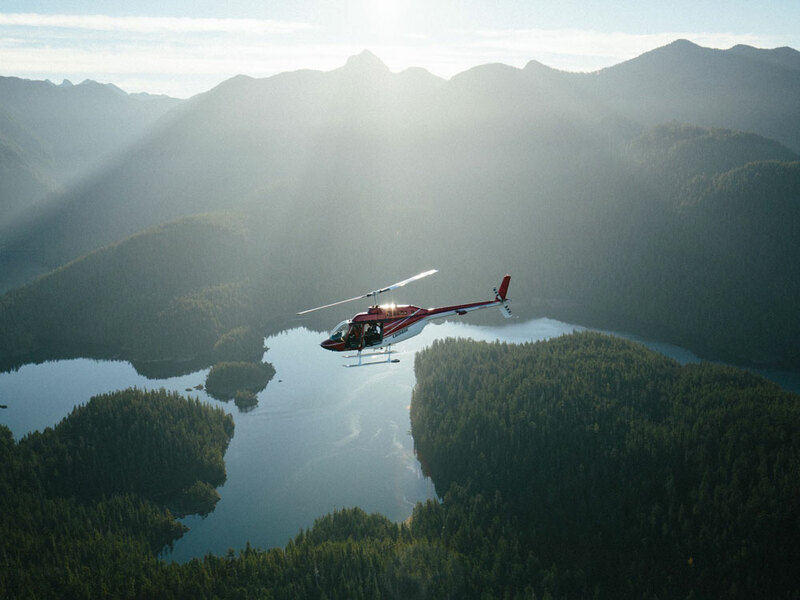 Some of the places below require a helicopter, boat or seaplane to get there so pack light and be ready for adventure outside and in. 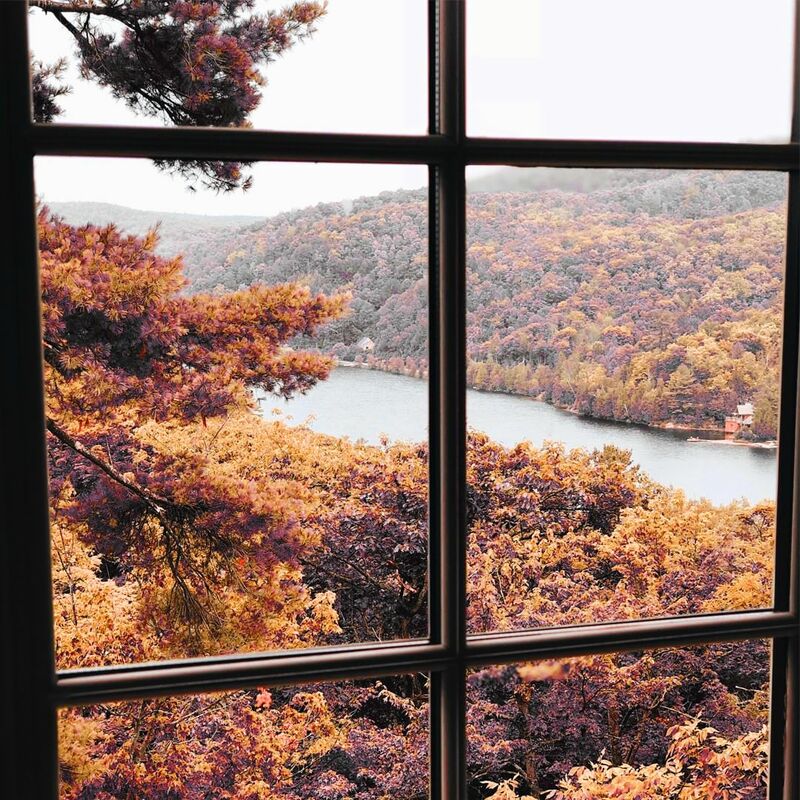 The window to enjoy all the colours starts now and continues onward to early November depending on which party of Canada you choose to escape to. 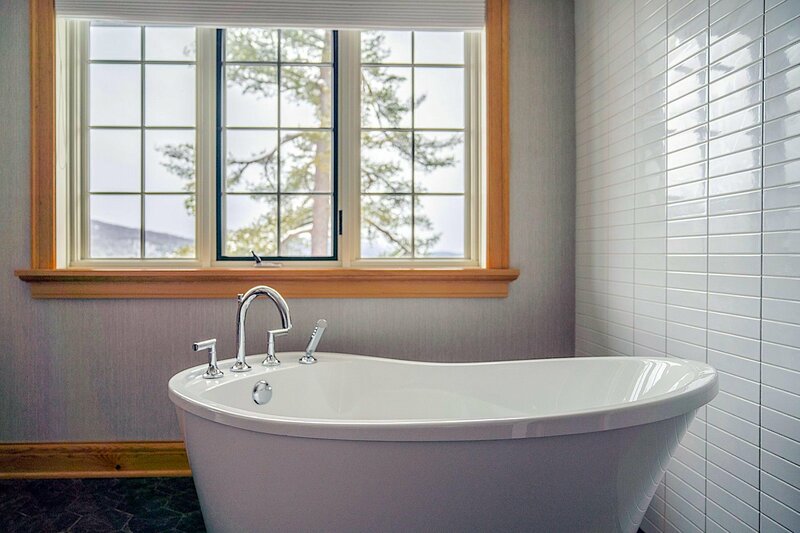 First on the list is a boutique luxury hotel that is well situated amongst nature called The O’Brien House which is in Chelsea, Quebec. The colours right now are incredible and we’ve got the Butiq Jet on standby if you’d like to book a trip here last minute. 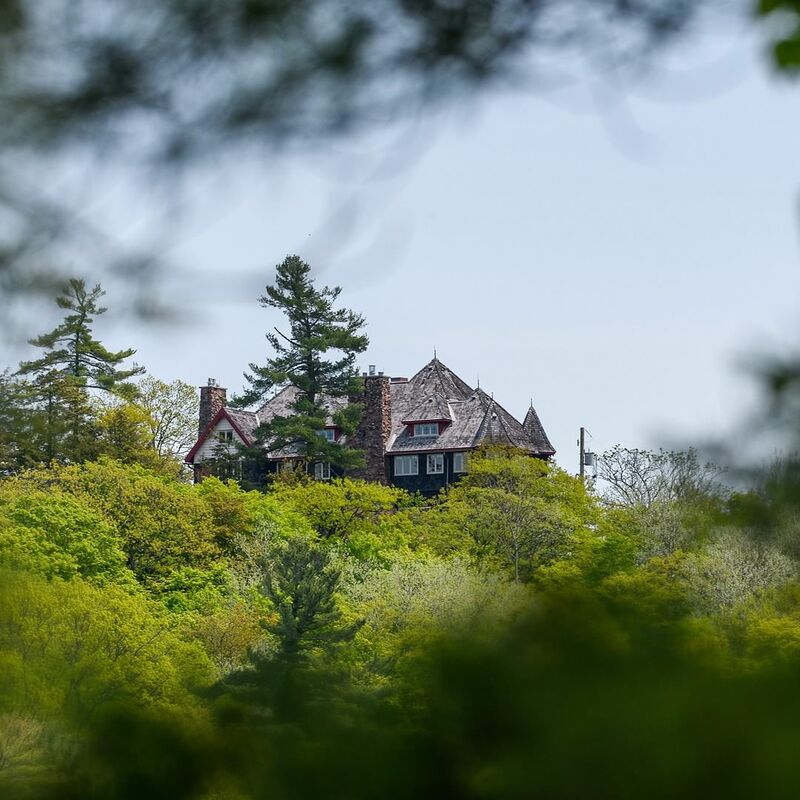 All eleven guest rooms in this 1930’s mansion turned boutique hotel offers a breathtaking view of Lake Meech or Gatineau Park. 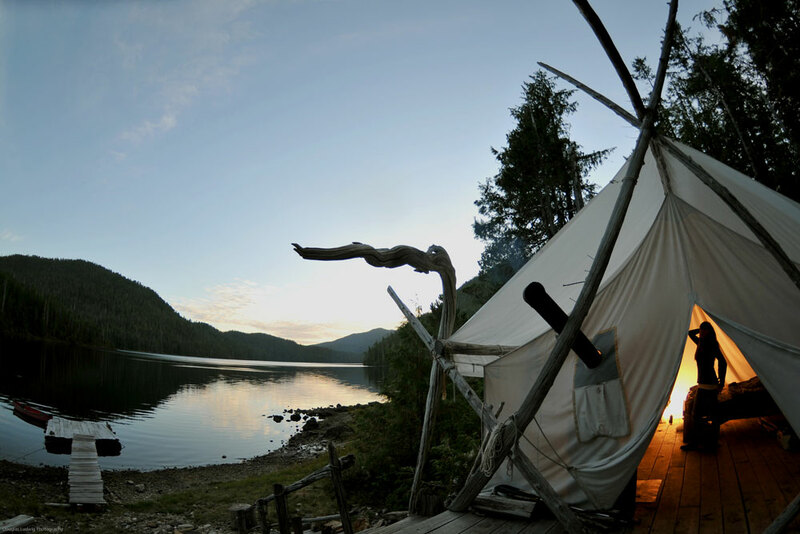 Located as far west as you can go here in Canda is Port Renfrew, a little town that’s an up and coming outdoor hotspot that is just magical during the fall season. 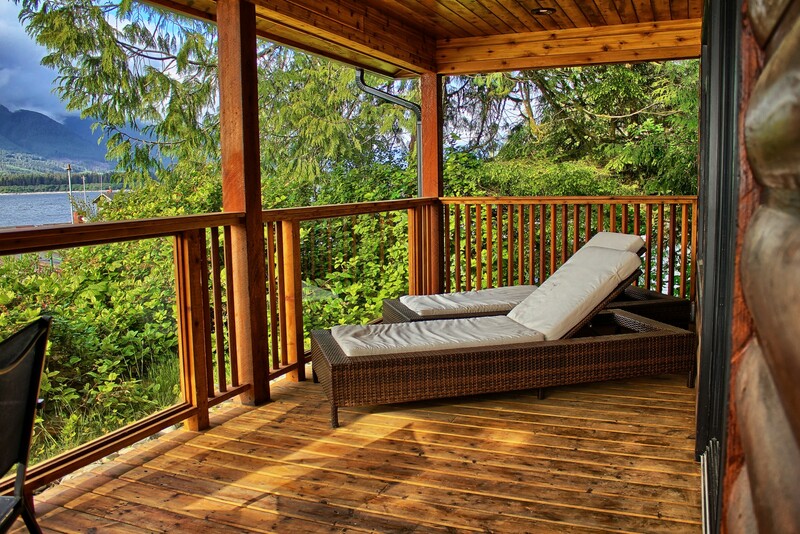 The romantic suite we’d highly recommend is the Wild Renfrew Viewpoint Penthouse that sits right on the ocean nestled amongst the rainforest. From here you’re close to some incredible beaches for combing and hiking trails set amongst some of the largest trees in the world. 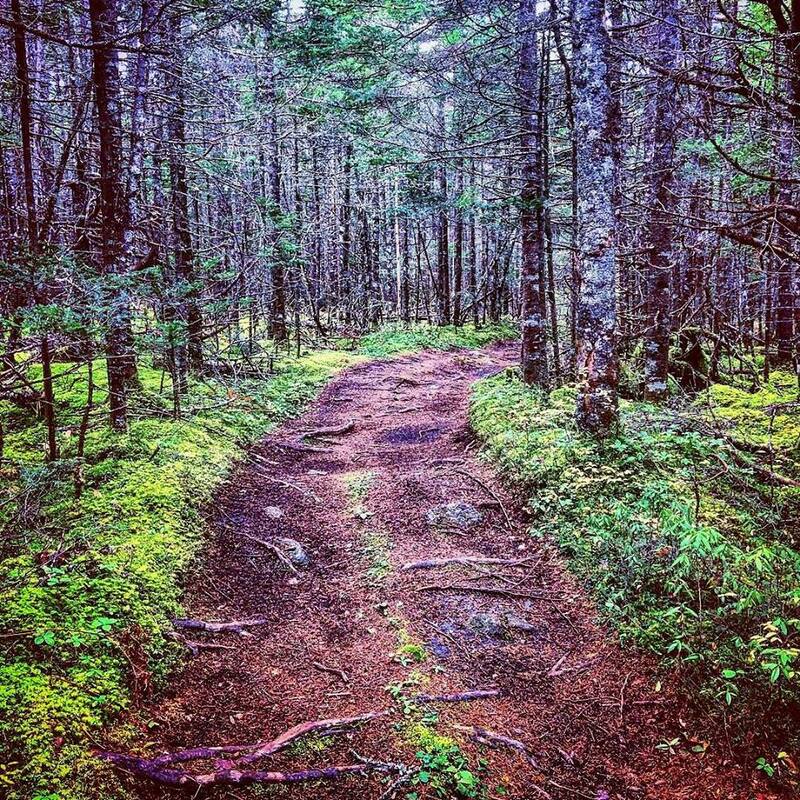 Head out early and hike Avatar Grove then spend the afternoon exploring Botanical Beach while packing in a picnic. This beach is unlike anything you’ve ever experienced and there are a lot of nooks and crannies to explore when the tide is out. Don’t get caught in it though or you’ll be making a slow trek back through the dense coastal rainforest. 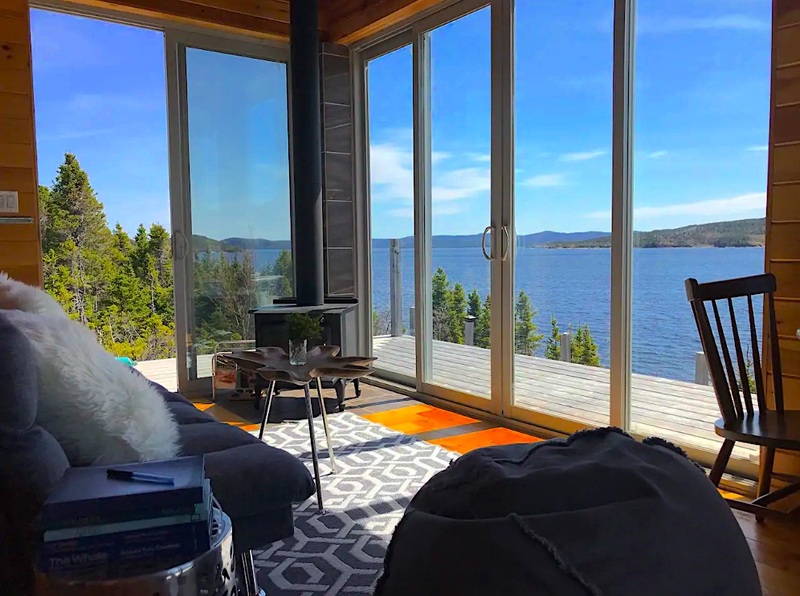 Take in fall on the east coast in The Ome Pod in Newfoundland which offers a cozy boutique experience with million dollar views. The view is stunning here and we think the couch next to the stove is a great place for a romantic cuddle after a day out exploring. 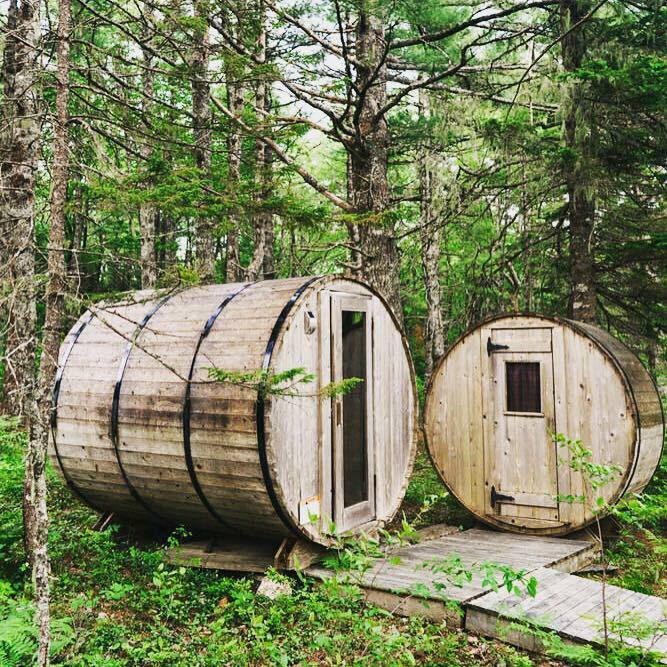 The Ome Pod is your very own little hotel situated on the coast of Newfoundland that’s hand built from all local lumber. 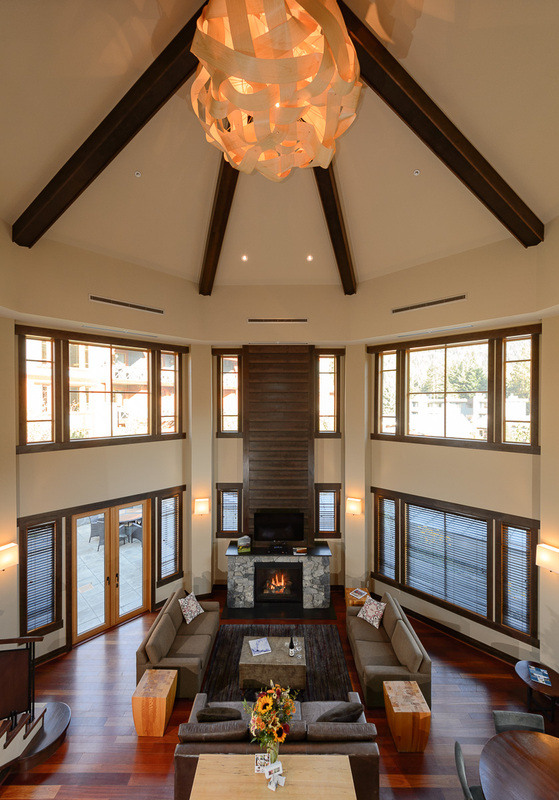 Get a traditional experience with a few luxuries in one of the most beautiful parts of the country. Looking to go somewhere with no one else except the wildlife and shooting stars? 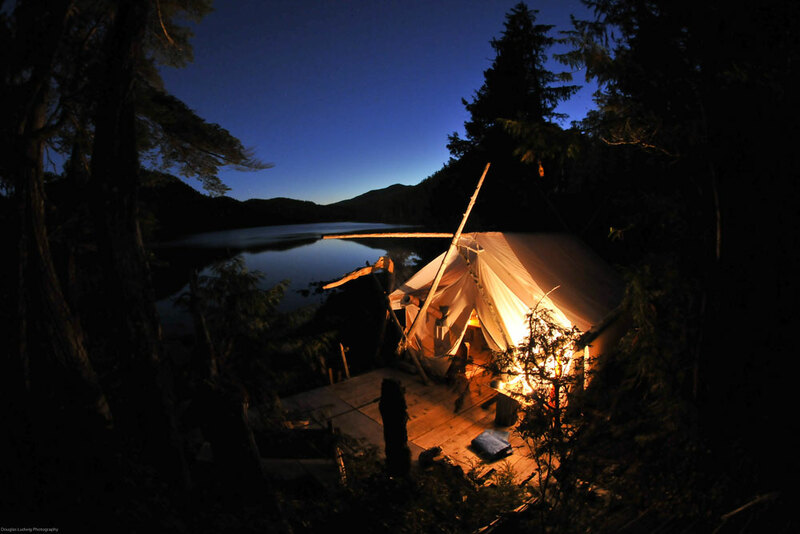 Out on the west coast of Vancouver Island our good friends over at Atleo Air offer a very unique glamping experience that is so remote it requires a seaplane to get here. This little “pop up hotel” offers the perfect romantic getaway for two so long as you avoid the rain and pack in your food. 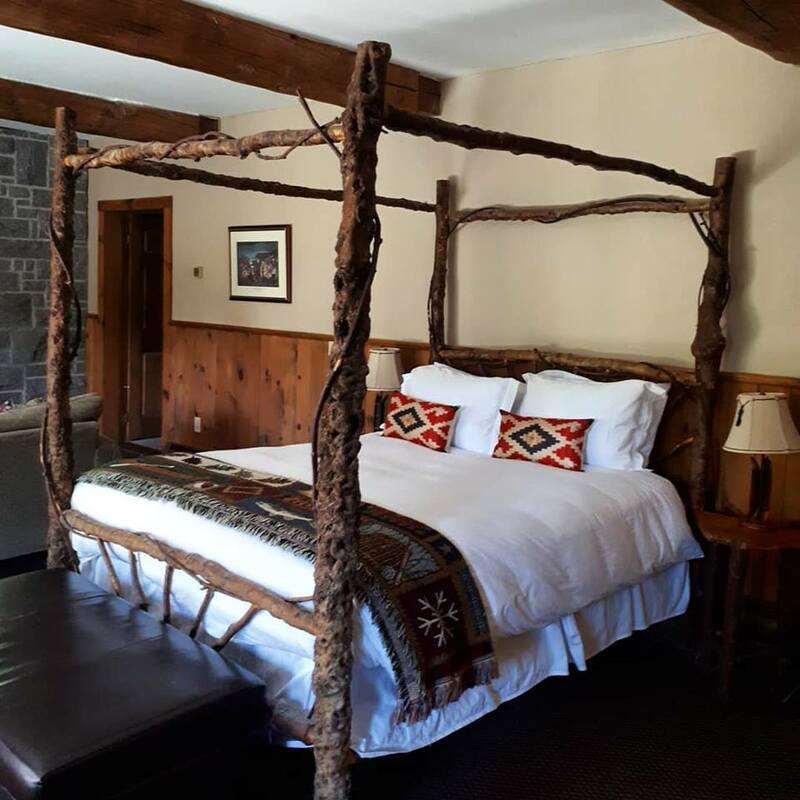 Once you are dropped off here you are on your own which is perfect for a couple looking to unwind and unplug from digital distractions. 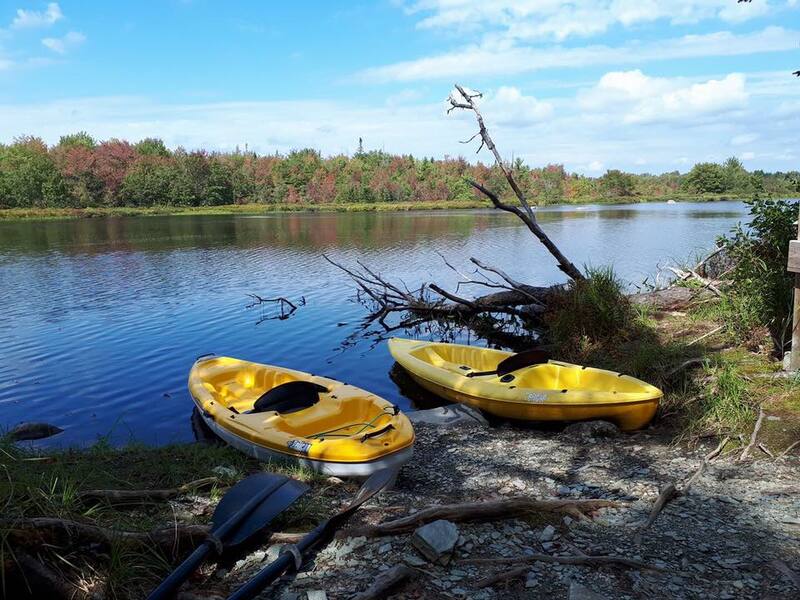 During the day you can explore the forest a bit or take out the canoe for a paddle out on this calm and clear lake. 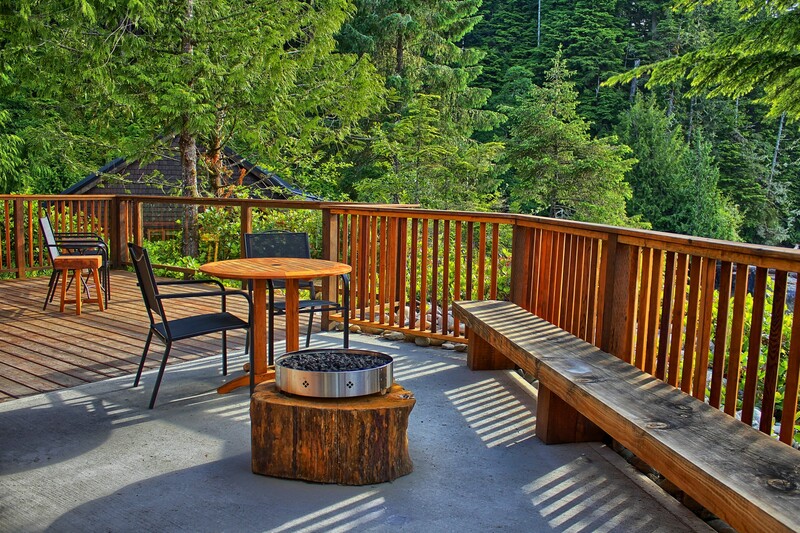 At night, kick back and keep warm by the fire while enjoying a light pollution free view of the night sky. 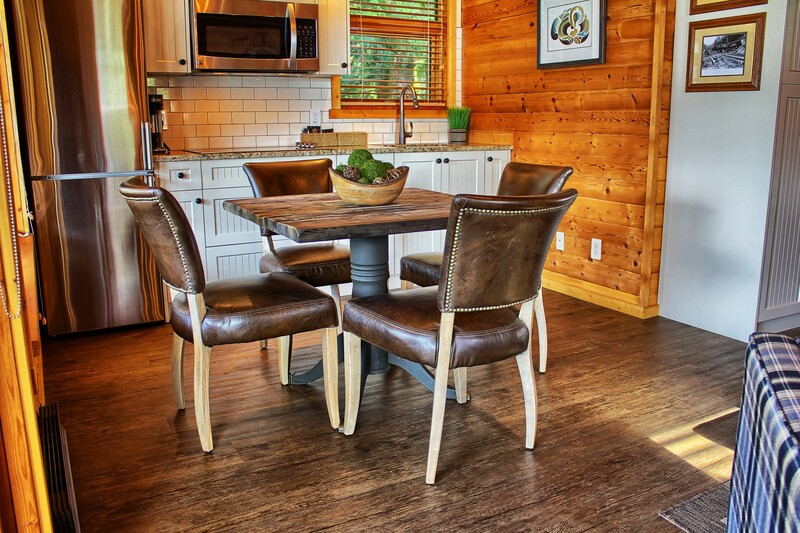 This eco-lodge is located in Nova Scotia and its location perfect for a romantic getaway, especially in the fall. 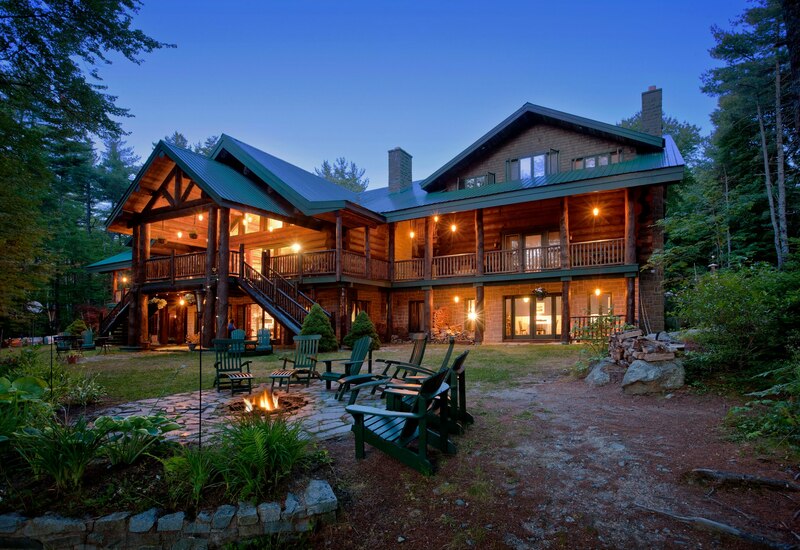 If you love the outdoors, fine dining and little bit of peace and quiet The Trout Point Lodge offers all that and more. 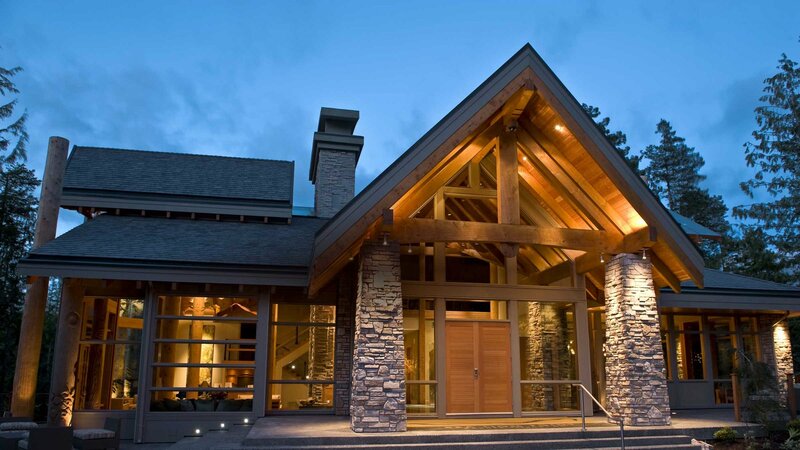 This lodge has been on our radar for a while now and it’s one of those places that everyone is talking about lately. 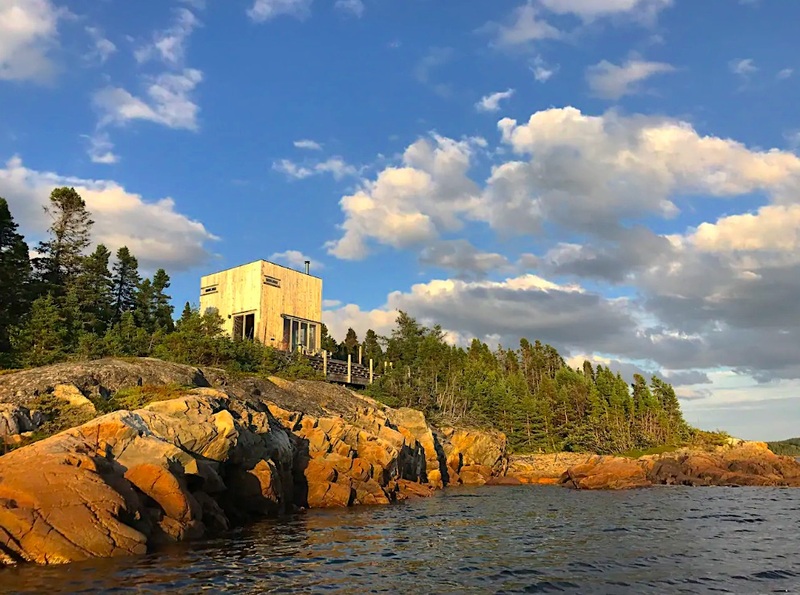 Located in the UNESCO Southwest Nova Scotia Biosphere Reserve you’re completely surrounded by nature and during the fall this place puts on a show. We highly recommend you show your significant other this place and think about making the trip before they close on October 29th. 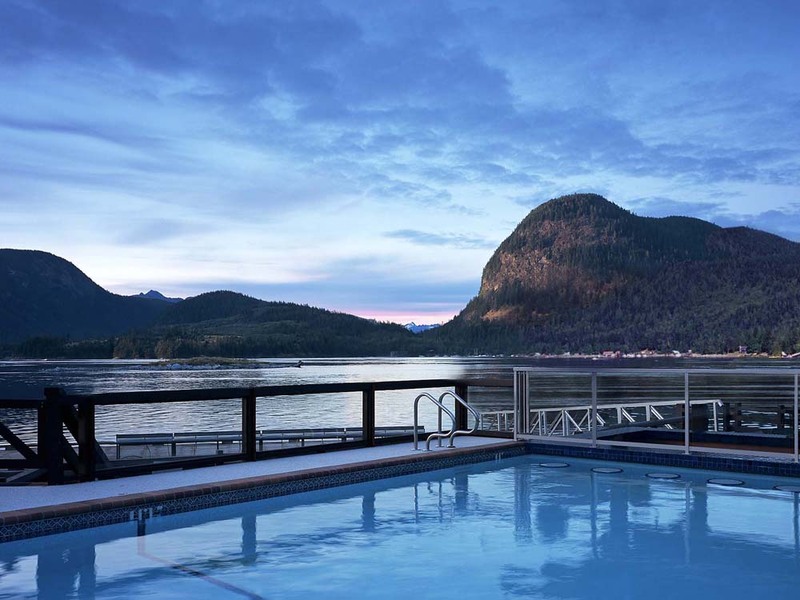 Don’t forget to make good use of the wood fire powered hot tub and sauna while you’re here. 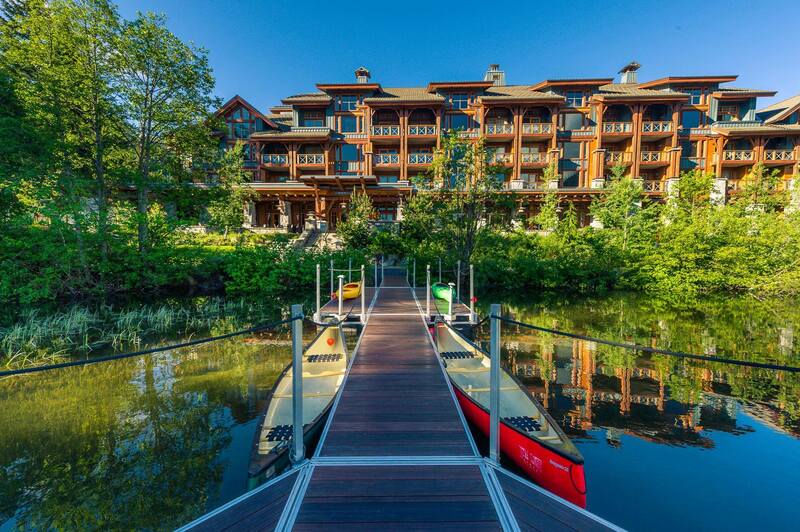 Just outside of the Whistler Village right on Nita Lake is one of our favourite hotels in all of BC. 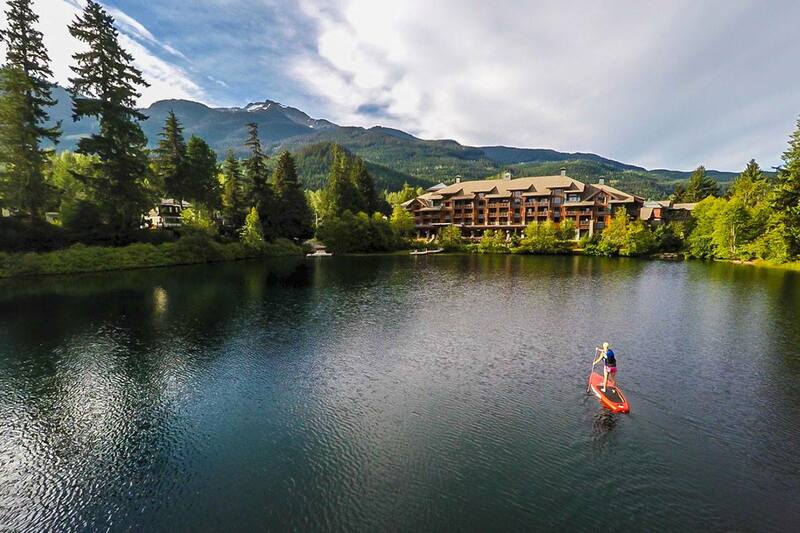 This time of year is perfect for hiking in whistler during the changing colours of the mountain landscape. The first dustings of snow should be happening on the peak any day now so those wanting a bit of the white stuff might get lucky. Go take a trip up the gondola to the peak, share a hot drink and do a bit of alpine hiking on a sunny afternoon. 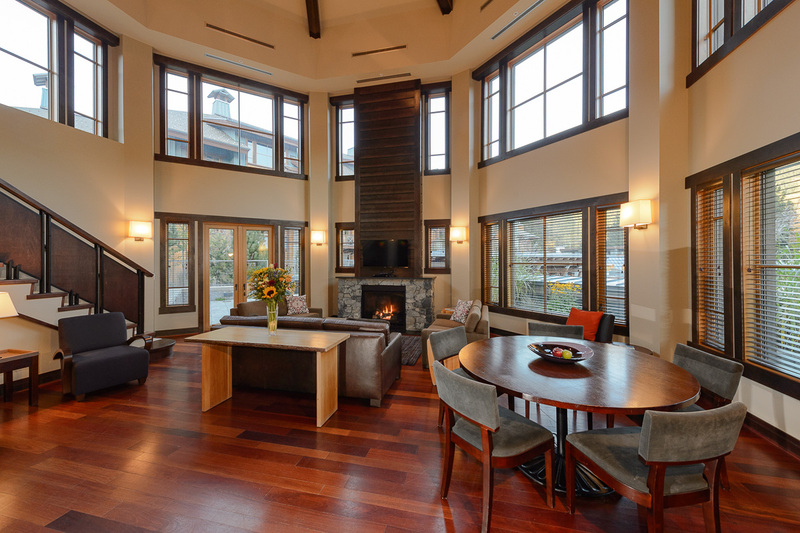 The Glade Suite at the Nita Lake Lodge is is away from the noise of the Whistler Village and gives its guests a lot of room to enjoy. 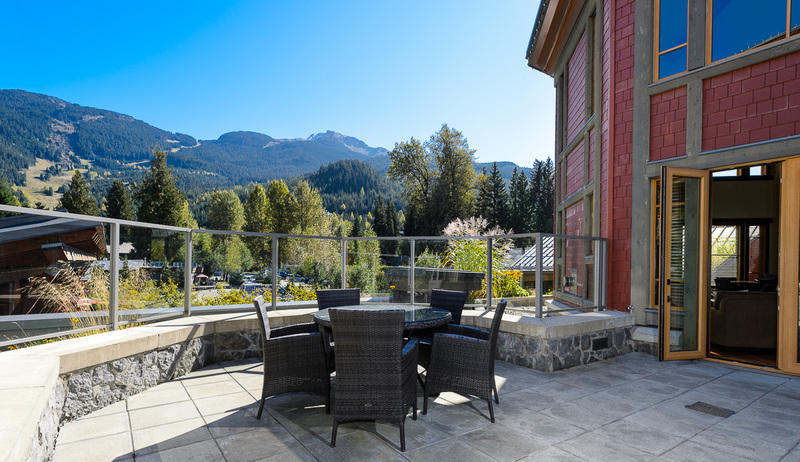 This suite comes with one of the best rooftop decks in all of Whistler and from up here you can enjoy the views of the mountains and gondola. 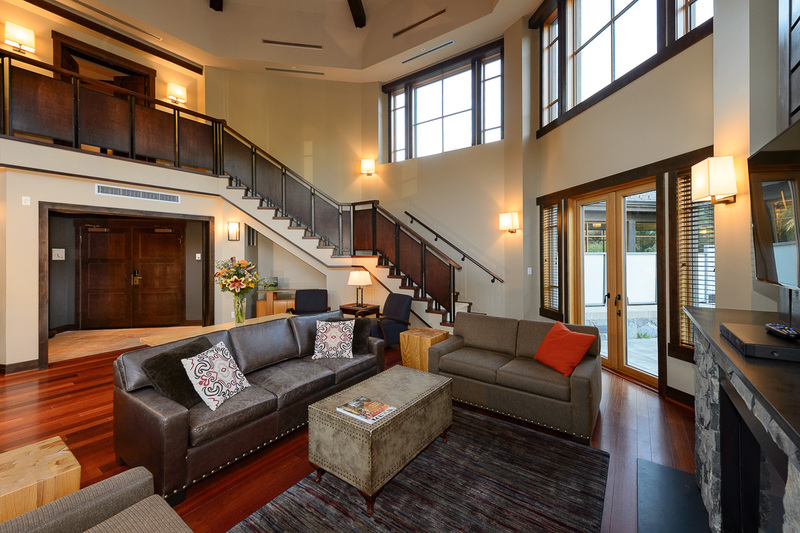 You can also easily spend the day here enjoying the spa and on-site dining experiences after a days hike. Want to stay in a resort on its own island away from civilization? Better yet, want to stay in a villa right on the ocean on said island? 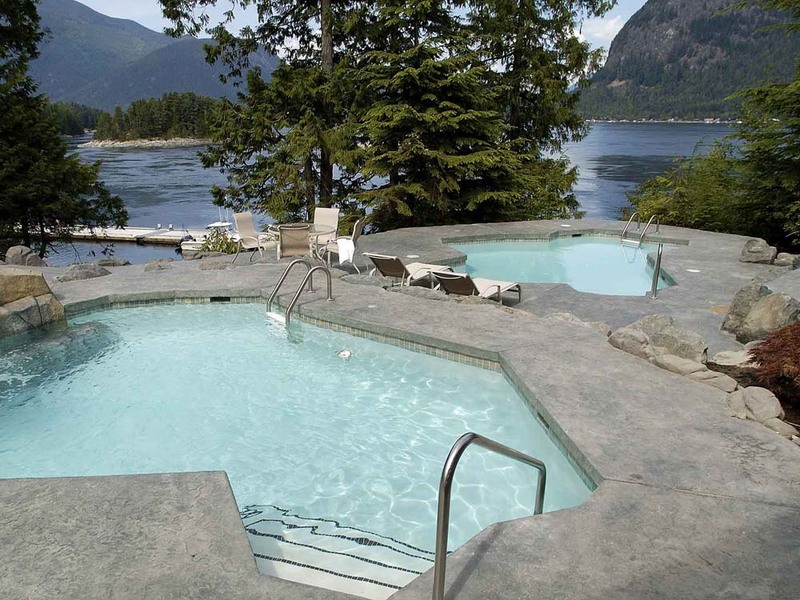 Out here at the Sonora Resort you’re just steps away from either the hot tub or all that the outdoors have to offer. 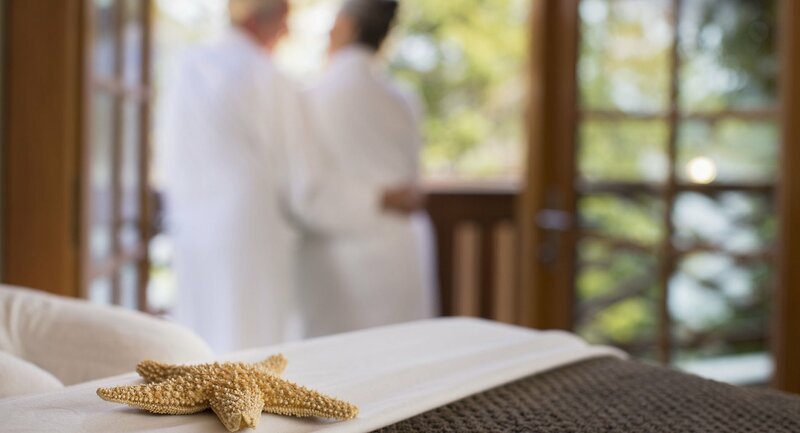 You can mix a bit of romance with adventure at this resort as they offer kayaking, whale and wildlife watching tours, heli-hiking with picnics and a whole lot more. Staying in a Villa here gives you a lot of privacy and out here you feel a million miles away from the city. 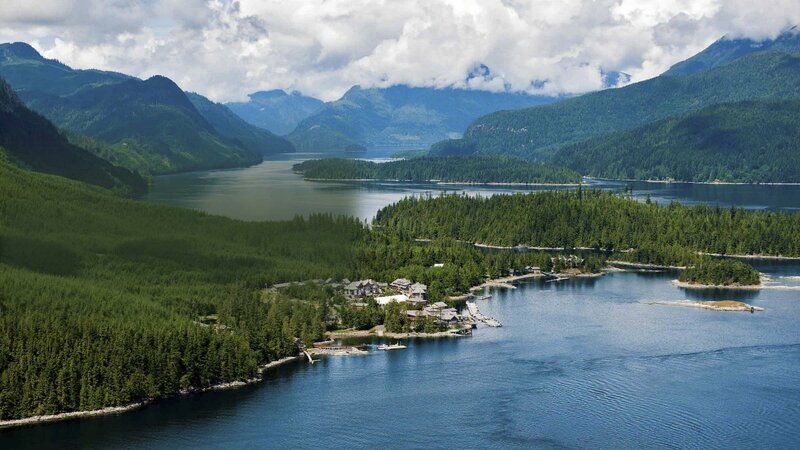 Getting to Sonora Resort requires either a seaplane, helicopter or boat and it’s a beautiful ride in. The leaves are already changing in this part of the country but mid October there are a few specials on as well we recommend taking in a grizzly bear viewing experience while you’re here.